Do you need someone encouraging you, especially when you are learning to let go of your child to military service? How about when they are difficult places or in harm’s way? Do you feel stressed or worried? Elaine Brye and Army Mom Strong have combined their efforts to create a powerful, emotional and inspirational pictorial book of encouragement and support for military moms of all branches. The authors are veteran military moms who have supported many moms through the challenges that come with sending a child into harm’s way. The Heart of a Military Mom gives you valuable insights to help you to stand strong in the face of fear and on the home front. It is the first in a series of supportive books to inspire you to create a more fulfilling journey as a military mom. There are roughly 1.1 million military spouses of the US Armed Forces spread across communities around the globe. They are entrepreneurs and volunteers, educators and lawyers, authors and elected representatives, stay-at-home parents and advocates. These men and women embody the American dream by sacrificing on behalf of the pursuit of freedom, while chasing bold dreams of their own. Often told are the stories of the selfless service of the heroes in military uniform, but lesser known is the everyday imprint being left on the nation by those who support those service members. This book seeks to capture the inspirational tales of those military spouses who continue to make a difference daily. We wrote this journal with the hardworking military spouse in our hearts and minds. It’s for the new wife who has found herself half way around the world at a new duty station, attempting to navigate military life far from friends and family. It’s for the mama trying to be everything to everyone while he is gone, never getting a break for herself. And it’s for the woman who has done so much to serve beside her husband, wondering if anyone knows or even cares about the dreams she has sacrificed along the way. Dear military spouse, this 12-month journal was created as a place for you to clear the clutter and process this journey. Our hope is that you use this as a tool to speak your heart onto paper. Use it to work through your struggles and successes, to dream and plan for the future, and to strengthen the connection you have to your spouse even in the midst of distance and lonely nights. More than anything, we want you to know that we see you. We hear you. And we recognize that what you and your service member spouse are doing is one of the hardest things you will ever do. You are doing something most of your friends and family will never understand. Have you ever had to show courage when something difficult happens and you have no idea what to do? That's exactly how Kenzie felt when her daddy was deployed, until . . . In addition to a story of resilience, Kenzie's Courage includes an Emotional Toolbox containing strategies to support families in transition and loss. The Bailey kids' mom has just been assigned to Fort Patrick, and it'll be the family's first time living on an army base! Tom, Charlotte, and Rosie get to make new friends, explore the neighborhood, and cool off in the huge pool. Unfortunately, they also have to deal with the base bully, who seems determined to make Tom's life completely miserable by telling everyone he's a wimp. When the Baileys discover a mystery on base--an abandoned building long rumored to be haunted--they know that this is the way to show the world how brave Tom truly is. But when they go to investigate, they find there's more to the house than some old rumors. What is that weird equipment? And who is that suspicious man sneaking around inside? It's up to Charlotte, Tom, and Rosie to figure out the base's secrets-and prove to everyone that no bully can keep the Bailey kids down. Daphne Benedis-Grab's Army Brats is an exciting romp that celebrates friendship, bravery, and being true to yourself. Every day, many children watch as a parent goes off to a military assignment, often in dangerous situations. Most children will later welcome home their parents who served without incident. Others, however, will greet a parent who suffered a head injury, which changes all their lives. While brain injury is a complex topic, it is an unfortunate fact that certain types of brain injuries, which are all too common in military personnel, affect a person's behaviors such as mood and temper. A previously kind and loving parent may become irritable, short-fused and be intolerant of frustration after a brain injury. To a child, this change can be scary and overwhelming. Children may not understand why Mom or Dad is so different and may blame themselves for their parent's moodiness. This book offers young readers practical coping tools to empower children to feel confident about themselves and become a more active participant in his or her injured parent's life. An excited young boy's wildest dreams come true when he discovers a stray tank at the park and takes it home as a pet. Over the course of the next week and through a series of adventures and mishaps, he starts to realize that tanks may not make good pets after all. A creative, educational book for children with vivid and humorous illustrations. 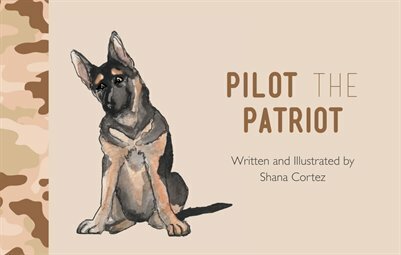 This picture book uses a simple one-sentence per page narrative to explain both the Special Forces soldier's mission and the difficulties faced by that soldier's daughter while he is away. A useful tool in the military family's arsenal for dealing with long and frequent separations. 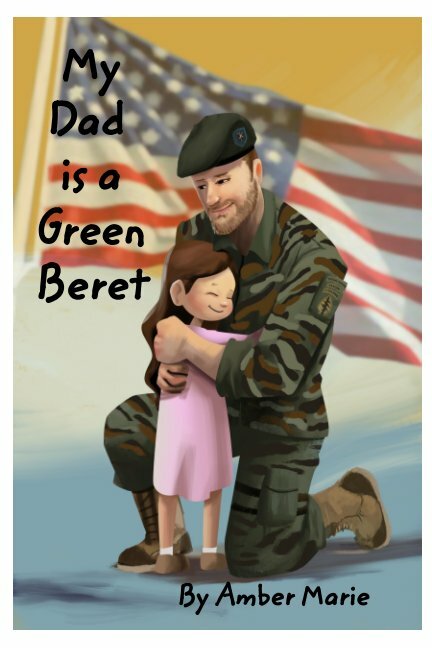 A must read for young children of Green Berets, especially helpful during deployment. When Pilot finds out his class is having a father occupation day, he finds himself questioning why his dad has to be far from home for such long periods of time. With the help of his mother, he learns what his dad goes through on deployments and how both his dad and his family must make sacrifices to keep the country safe. A is for Artists painting the hardships of prison life. E is for Escape, as determined prisoners make daring plans to regain their freedom. More than one hundred thousand American service members have been captured by an enemy and imprisoned during war. Tens of thousands are still missing. This book tells the true stories of only a few of these brave men and women, but their stories represent the experiences of many others. The accompanying illustrations are based on surviving artwork, current and historic photographs, and firsthand descriptions of people, places, and events. From Geneva Conventions to Operation Homecoming, Tap Code to Yellow Ribbon and more, N IS FOR NEVER FORGET is a compelling journey through wartime history, honoring the sacrifices of prisoners of war (POWs), those missing in action (MIA), and their families. --Engaging format interests readers of all levels. Single lines of text describe each letter's key message, while longer true stories complement full-page color illustrations and bring POW-MIA concepts to life. --Topics to Discuss and Ways to Honor sections prompt critical thinking, conversations, and calls to action to develop compassionate leaders of the future. An educational picture book which takes children on an exciting adventure while teaching them basic counting. Grandpa retells the story of his thrilling exploits on D-Day while teaching Harvey how to count up to ten and back again. Surrounded and under fire, can Grandpa carry a message through to headquarters to get help for his friends? Post-Traumatic Stress Disorder is everywhere. It is increasing in regards to those who are being diagnosed with PTSD and those whom are ministering to ones with PTSD. The good news is that God speaks into the complexities of PTSD through Scripture and helps us orient ourselves and our families towards his purposes in PTSD. As you will see, God offers us a perspective on how we should view PTSD and the trauma that started it all. Experience firsthand the inspiring and heartwarming bonds between wounded veterans and their service and companion animals. Vets and Pets tells fifteen emotional and entertaining stories of the incredible bonds between wounded warriors, veterans, and other service members and their service and companion animals. Whether these special relationships are with dogs, cats, horses, pigs, or even birds of prey, readers will discover how these remarkable animals help veterans return to civilian life and live independently while simultaneously bringing joy and confidence into their lives. Tyler struggled to adjust to civilian life after losing both of his legs in Afghanistan, until he met his intelligent and willfully disobedient red European Doberman pinscher, Apollo. Vietnam veteran Patrick regained a sense of well-being and hope through the study of birds of prey. Max the horse has helped numerous veterans learn to trust, improve their communication, and increase their self-confidence and self-esteem. Mandi discovered that the intelligence and unconditional love of pigs were exactly what she needed to heal from an abusive past and a disappointing army-training injury. These are just a few of the uplifting stories that are featured in this striking collection. In addition to exploring the unique, lifelong bonds that can develop between veterans and their animal companions, Vets and Pets spotlights extraordinary nonprofits that unite wounded warriors with service and companion animals, including Pets for Patriots, Hooves Marching for Mercy, Horses Helping Heroes, and Avian Veteran Alliance, among others. A portion of the proceeds from this book will be donated to Pets for Patriots. Soldier and Spouse and Their Traveling House puts a witty spin on the dynamic of newlywed husband and wife trekking across two continents during their first three years of marriage. Who heads this household? The thrill-seeking soldier? Or the sensible spouse? Come along with this twenty-something military couple on their off-duty weekends as they dash in and out of trouble from the Emerald Isle to cruising down the Nile and many places in between—Western Europe, the Baltic, North Africa, the Balkans, Eastern Europe, and the Mediterranean. Planning a Walt Disney World vacation can be confusing, throw in the complexities of the many varied military discounts and it can become downright perplexing. For years military families have been looking for a single resource to help with their Walt Disney World Vacation planning. You will find just that in Walt Disney World for Military Families. All the research has been done for you! This is the first ever Walt Disney World Guidebook written specifically for the US military community! In this detailed comprehensive full length guide, Disney military expert Steve Bell will share all the information gained over the years of covering everything military about Disney World. Steve is the founder of the hugely popular MilitaryDisneyTips.com website, the internet’s only website dedicated to information about Disney Military Discounts. His firsthand experience using these discounts will ENSURE that you will know all that you need to know in order to save as much as possible and have the relaxing stress-free vacation that you deserve. If you are military and planning to visit Walt Disney World, then Walt Disney World for Military Families is a must have! Even if you might have used a military discount before, you will find information in this book that you did not know about. In addition to all the great military information in the book, you’ll also find tons of general public information on the theme parks, resorts and hotels, water parks and everything else to do at Walt Disney World, plus a section of tips and theme park dos and don’ts gained in over 47 years experience touring Walt Disney World. This is the perfect investment for those wishing to plan a special get away from the stresses of military life! When military life gives you lemons (or orders), make lemonade (or build a brand). Written by Lakesha Cole, mom, Marine spouse and shop owner of She Swank Too, this beginner's guide brings Lakesha's earnest approach and genuine love for boutique retail and her unwavering grit and determination to build a brand and business despite the frequent moves and career pitfalls associated with the military lifestyle. Being a mom is a full-time job, and starting a business is no easy task. Lakesha is here to teach you how she did both, between drop-off and pick-up, as a mom of three, while moving back and forth across the country and overseas. If you've ever considered opening a boutique but don't know where to start, Mommy Retailing: A Mom's Guide to Starting A Boutique is perfect for you. This book is packed with practical solutions on balancing work time and mom time and actionable tips about all the aspects of starting your own retail store. Details business planning and day-to-day operations on running a boutique, how to fund your business, where and how to source merchandise, branding, and marketing, how to pick a location, planning a grand opening and how to use your business to give back and create goodwill in the community. DON’T let the title mislead you … this book is for EVERYONE! If you’re a hardworking wage earner trying to succeed, your financial future looks scary. The same government policies that are preventing our economic recovery are also devaluing every dollar you earn. Technology is ushering in a new era of unemployment, potentially causing thousands of production and administrative jobs to be lost. Additionally, your taxes are being raised to support national social welfare programs at a time when your cost of living is rising steadily. Don’t get frustrated, don’t get discouraged and most certainly … don’t give up. There’s an answer to your financial problems to which you have immediate access, and it lies within your “Entrepreneurial DNA.” It knows you want to succeed, enjoy a prosperous life and secure an independent future for those you care about most. In this highly inspirational book, Kaplan uses a unique approach that combines optimal mindset with experiential leadership to provide you with the greatest opportunity for success. His 30 years of successful military and business experience lays a solid foundation to provide exacting strategies for both personal and professional development. He offers an in-depth approach to taking control of your life and successfully reach the goals you set for yourself despite any obstacles you believe stand in your way. The Prior-Service Entrepreneur is MUCH more than a book for starting a business; it provides valuable insights into life skills, job readiness and mastering your competitive advantage. It will show you how to overcome personal challenges, increase confidence and reinvigorate your passion and sense of purpose. When you follow Michael Kaplan’s easy to read advice you will be prepared to achieve success, enjoy financial independence and change your life forever. Your new future starts today! Claim it … it’s yours. Are you ready? You’ve served our country and served it well. Thank you! Now is YOUR time. Whether you reached retirement, are medically retiring or have decided to separate; your time has come. You have decided it is time to move on to the next adventure. However, have you set yourself up in a way that will allow you do pursue your passion? Do you even know what you want to do after you leave the service? How do you translate those well-developed skills into terminology civilians will understand? This book is here to help. More than 200,00 service members transition out of the military each year after selflessly dedicating years of service to our country. The Empowered Veteran assesses the core strengths of military training and leadership that equip veterans to build amazingly successful civilian careers and give them an edge in a highly competitive corporate environment. It teaches the reader how to plan for a successful transition from the military and prepare for an empowering future. And it offers a roadmap to an effective execution of the plan and a personal investment that will develop ongoing opportunities for life. A must-read book for anyone who has endured trauma yet dreams of leading a successful and happy life. Mark E. Green, a Lieutenant Colonel in the US Army (retired), came from grinding poverty in rural Missouri, the oldest boy of six children. In this moving memoir, he candidly shares his unlikely path of working his way up from an enlisted man to an officer. Green served his country for thirty-four years (twenty-four in active duty). He was a member of the 82nd Airborne and "Soldier of the Year" for his battalion, as well as a pioneering member of the Army's taekwondo team that went on to be recognized as the All Army Sports team that competes for the Olympics. Green served two tours as an Inspector General, including a yearlong deployment to Afghanistan, where he was responsible for that role in the southern half of the country. After sustaining a potentially career-ending hip injury in his last month of deployment, Green fought his way back to full health, battling daily through an arduous recovery as he learned to walk again. Green is dedicating the remainder of his life to inspiring hope, helping smooth transition, and improving resilience for his military brothers and sisters, veterans, and their families. He resides in Orlando, Florida, with his wife, Denise, son Adam, and Green's mother (www.mark.green). Echo Montgomery Garrett (www.echomontgomerygarrett.com) is a multi-award-winning author based in Marietta, Georgia. 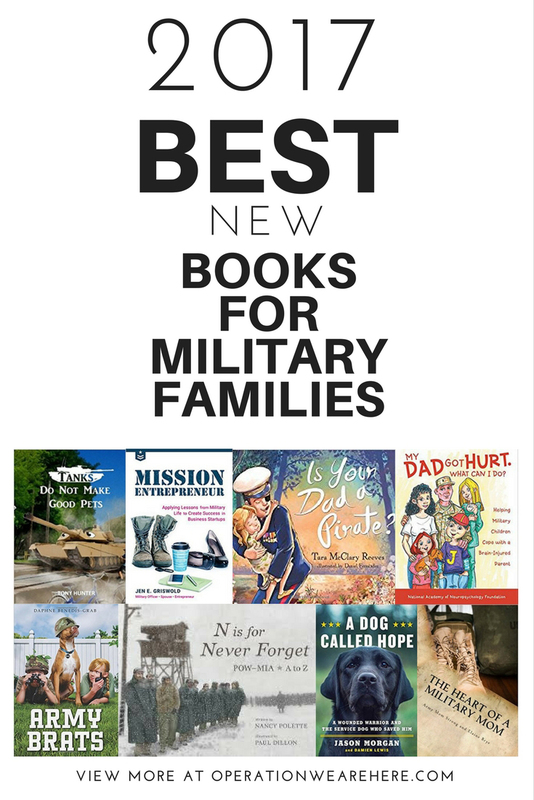 The authors are donating 10 percent of net profits from book sales to nonprofits serving veterans and their families, young people in poverty, and soldier-athletes.